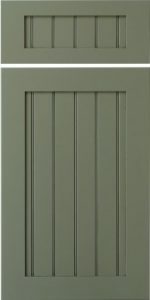 The Prestwick door features the G-012 rout, on a 2″ spacing (other spacing available upon request), in a 5/8″ thick solid center panel. The increased thickness of the center panel moves the face of the panel closer to the face of the door, which creates a clean-lined look. 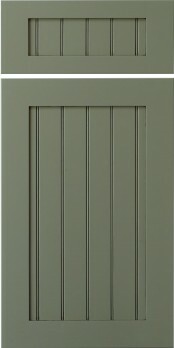 To account for the increased demand of painted finishes, Conestoga (CWS) especially created a full MDF (Medium Density Fiberboard) construction version of this already popular door, which they called the Prestwick (MDF).